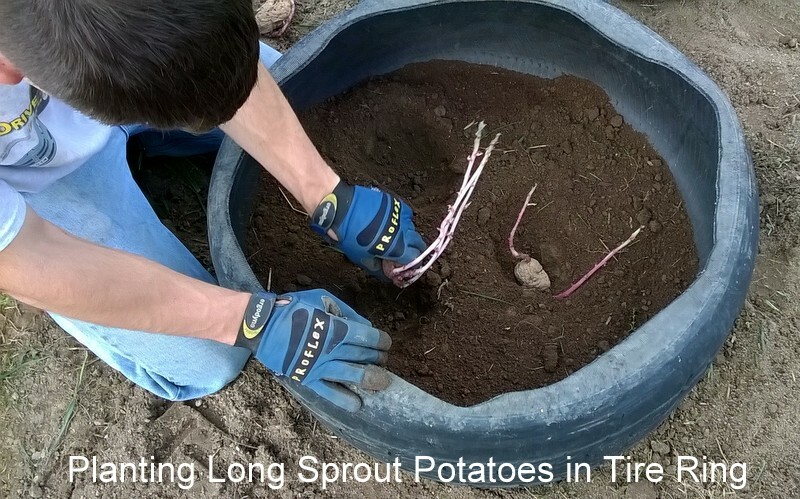 Planting potatoes using the long sprout method (allowing the seed potatoes to develop long sprouts prior to planting) is another way to get bigger yields of potatoes. Irish potatoes are actually modified stems. The longer the stems, the more surface area for potatoes to form. 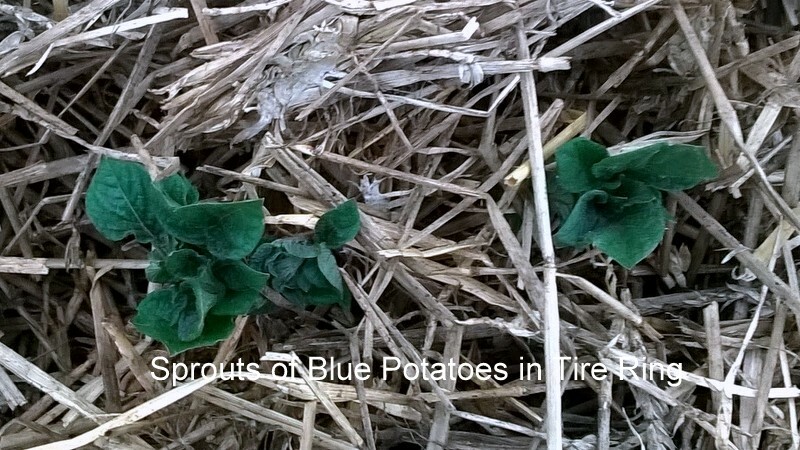 This method produced a tremendous yield of red skinned potatoes. I used compost mixed with rotted wheat straw as my growing medium. 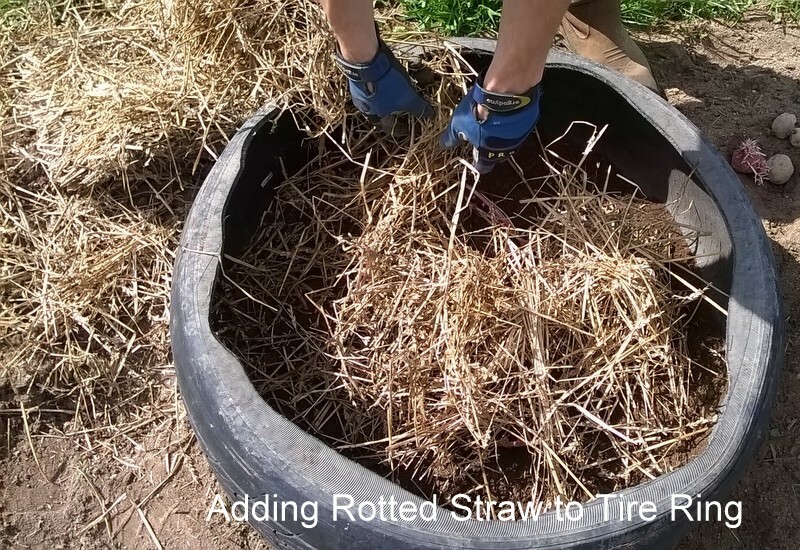 More rotted wheat straw was added to fill the tire ring. Now the sprouts are popping out above the straw. 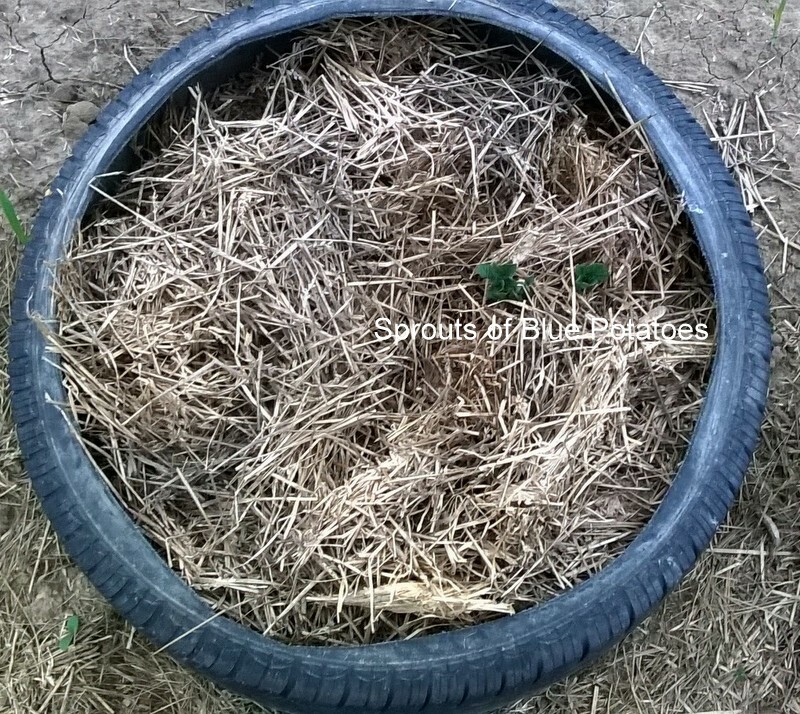 Soon I will be adding another tire ring as the sprouts grow longer. 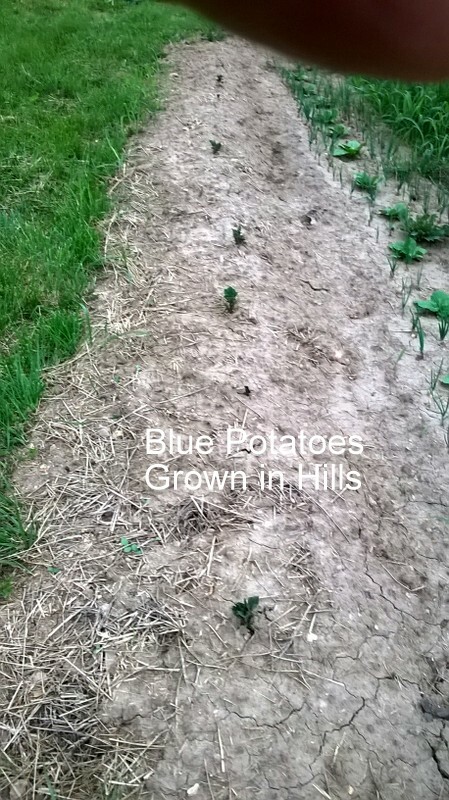 Here is another method of planting potatoes. It is called the trench and hill method. Till your soil and open a trench or furrow. Plant the seed potatoes about a foot apart and hill up the soil, compost and rotted wheat straw over the trench and watch them grow! 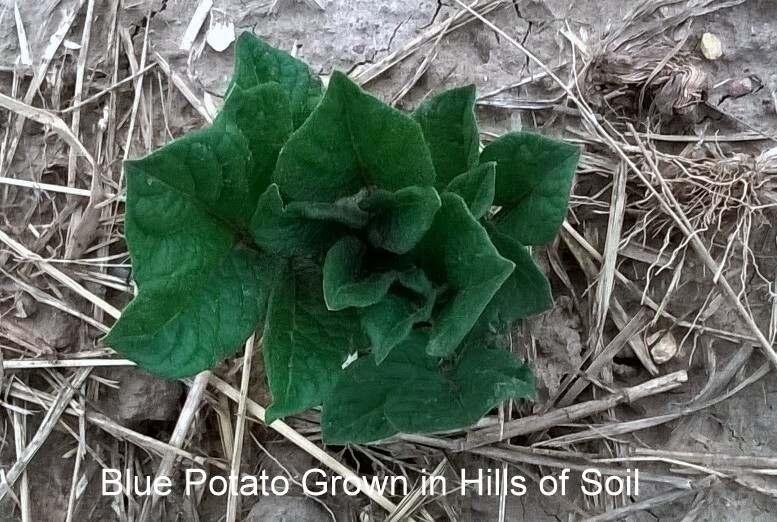 I can hardly wait to experience these blue potatoes! < Previous The Squash Vine Borer is your Enemy and Here’s How to Defeat Them. Next > Beautiful Iris and Dianthus Make the Day!